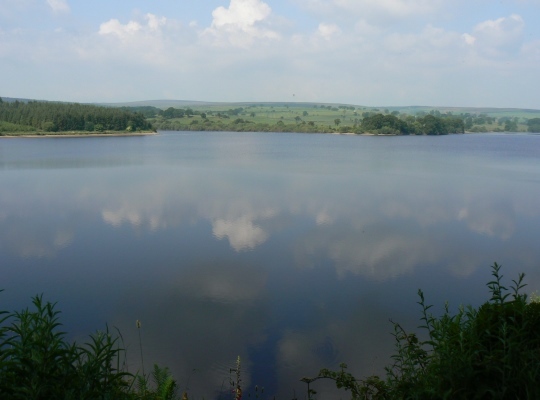 Fewston Reservoir is one of a chain of four reservoirs in the Washburn valley that also includes Thruscross, Swinsty and Lindley Wood reservoirs. Fewston Reservoir is situated just south of the A59 at Blubberhouses and immediately above neighbouring Swinsty Reservoir. All four reservoirs were built to supply water to Leeds. Construction on Fewston Reservoir was begun by the Leeds Waterworks Company in 1874 and completed in 1879, the year after work on Swinsty was completed. Two mills, Fewston Mill and West House Mill at Blubberhouse were destroyed to make way for the reservoir. 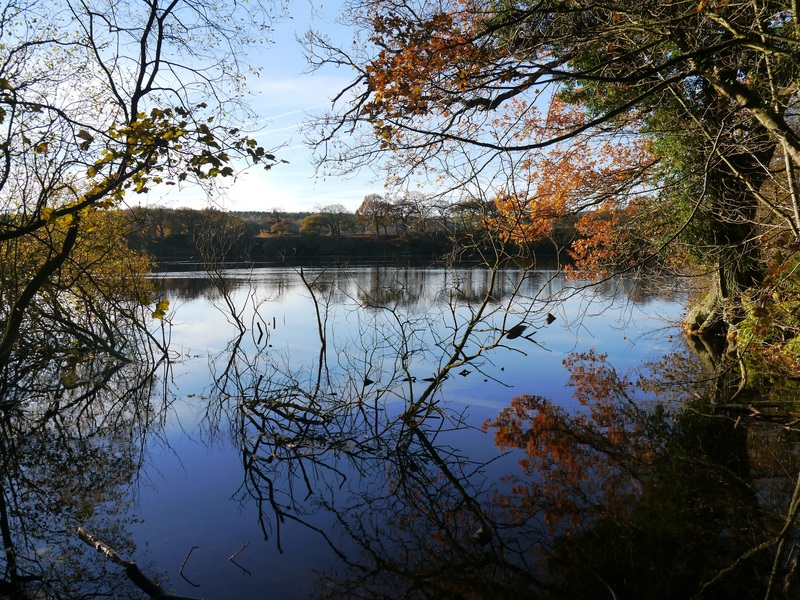 The reservoir also covers Cragg Hall a home of the Fairfax family whose New Hall lies beneath the waters of Swinsty Reservoir. 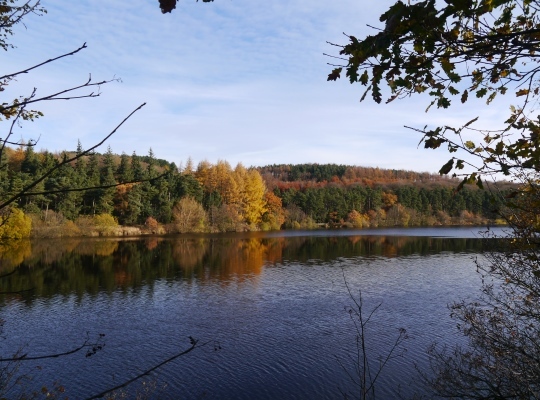 Car parks at the northern end of the reservoir just off the A59 and close to the west side of the dam in Swinsty Moor Plantation provide easy access to the reservoir which is a popular place for a walk. The circuit of Fewston Reservoir is just over four miles, a mile longer than the Swinsty circuit and is on good paths throughout. Autumn is my favourite time for visiting the reservoir with the surrounding woods displaying a quite wonderful array of colours. It is also a good place for bird spotting. In addition to the usual geese and mallards I’ve also seen herons, cormorants, moorhens and even a mistle thrush around the reservoir. A particularly memorable visit was in November 2013. I was getting increasingly stressed and anxious about my upcoming 40th birthday party. 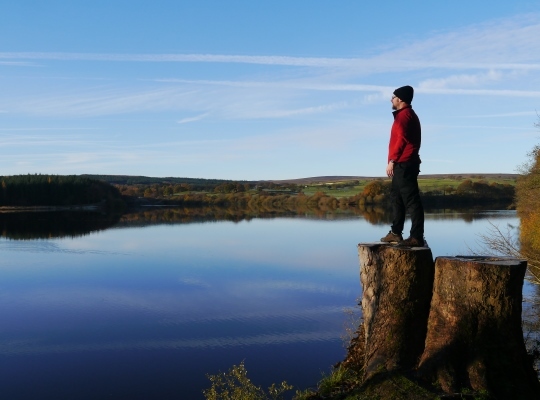 On the morning of the party I drove out to Fewston Reservoir and walked round the reservoir on my own. It was a beautiful sunny day and for those couple of hours I spent there my worries just disappeared as if by magic.